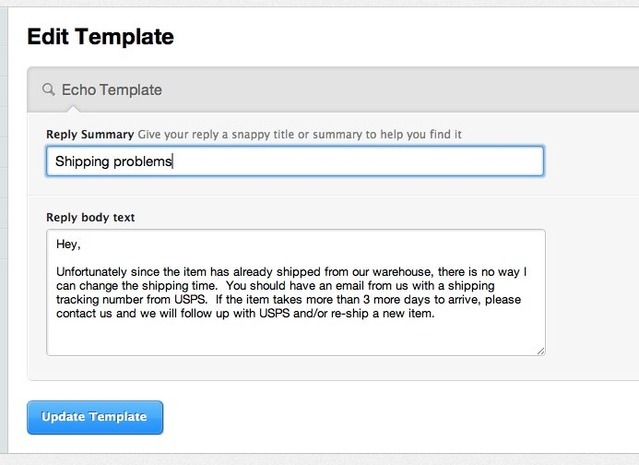 Echo Templates allow you to take answers that you find yourself repeating to customers and turn them into a template that you can access instantly. 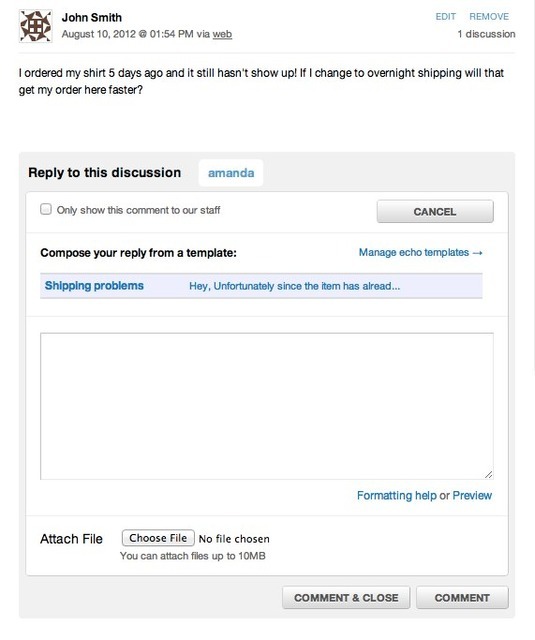 You can either write your replies ahead of time or promote existing replies to re-use later. To create your replies ahead of time, start at the support dashboard and navigate to Accounts & Settings > Settings > Echo Templates. Once you have some templates, you'll also be able to manage them from here. First, click the button to create a new template. Give your template a name that will help you easily remember the content of the message, and fill out the body with your response. Remember this is only a template, you'll be able to edit it when you actually reply. 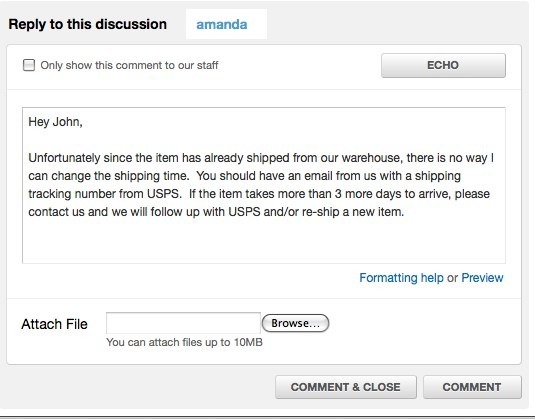 Once you have some templates available, you will see an "Echo" button when replying to customers in Tender. Click the button to see a list of the templates you've created and select the appropriate template. When you do this, your response will automatically appear in the discussion reply box. Any existing support response will also get an "Echo" link that allows you to use that response as a basis for future replies. 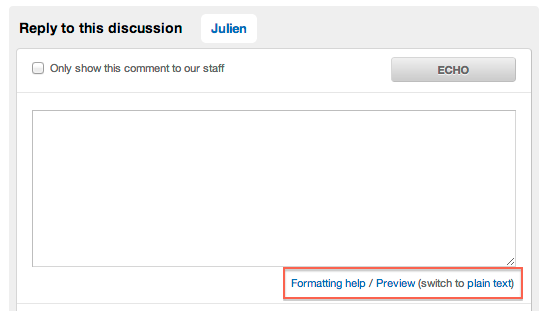 If the response was itself created from an echo, the link gives you the option to edit the existing template! Hopefully this feature will streamline your work flow and help you better serve your customers. Since we now have HTML email notifications, it means that you can compose your Echo Templates in Markdown too, and they will render as nicely formatted HTML when sent out. So have fun! Echo Templates are available on current Extra and Ultimo plans, as well as legacy Plus, Premium, and Max plans.